Terrence K. Williams is born actor and comedian, with a passion to perform. Terrence is also one of the hottest viral internet sensations, with an online following nearly a million strong. Terrence was born and raised in Oklahoma City, where he spent the first 15 years of his life growing up as a child of the system, in and out of unstable foster-care homes. After a long day at work, Terrence decided to push the “public” button on his videos, and the next day his normal 2 views turned into over 42 million. Terrence Williams has launched his new T-Shirt designs, make sure to get yours today! Make sure to let everyone know that they need to “Go to Bed!” or that you and Terrence are "Trying To Figure Some Things Out." “Trying to figure some things out” for ladies. 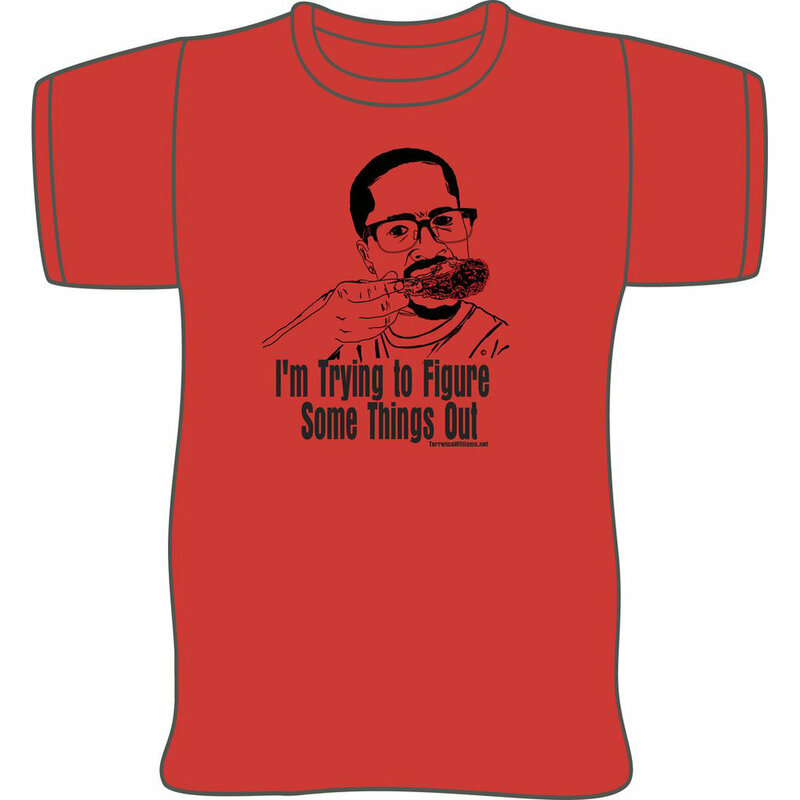 "Trying to figure some things out" for men. The Terrence K. Williams news blog just launched! More coming soon. This is the Chicken GoFundMe.